Nashville outdoor lighting at 500fifth. When you think of Nashville residential outdoor lighting you probably picture a beautiful home in Brentwood or Belle Meade or maybe even a quaint farmhouse nestled among acreage in Middle Tennessee. 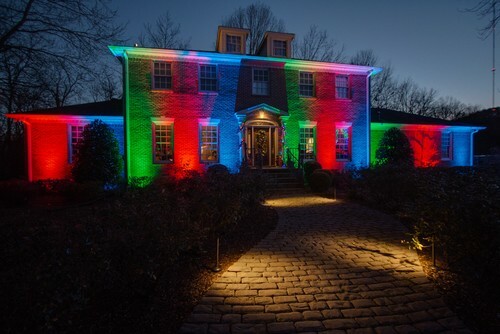 These images are accurate, and with good reason, because Outdoor Lighting Perspectives of Nashville specializes in residential, commercial outdoor lighting and holiday outdoor lighting in the Nashville area. However, with the growing trend in urban residential living, Nashville outdoor lighting is popping up amid all genres of housing. From townhouses, condominiums and even upscale apartments. One of our most recent outdoor lighting projects took place at 500fifth Apartments in downtown Nashville. This upscale complex delivers breathtaking views of the city skyline and offers an easy commute to those working downtown. Outdoor Lighting Perspectives of Nashville was asked to help make the building’s facade come to life through the addition of lighting. We accomplished this project with understated grace as we used up lighting to create the look and feel they had in mind. Through the use of 3000 degree kelvin/200 watt LED up lighting fixtures mounted on custom brackets the entire front facade of the 500fifth becomes a location you immediately want to know more about. The lighting adds dimension, depth and an air of majesty to the building. 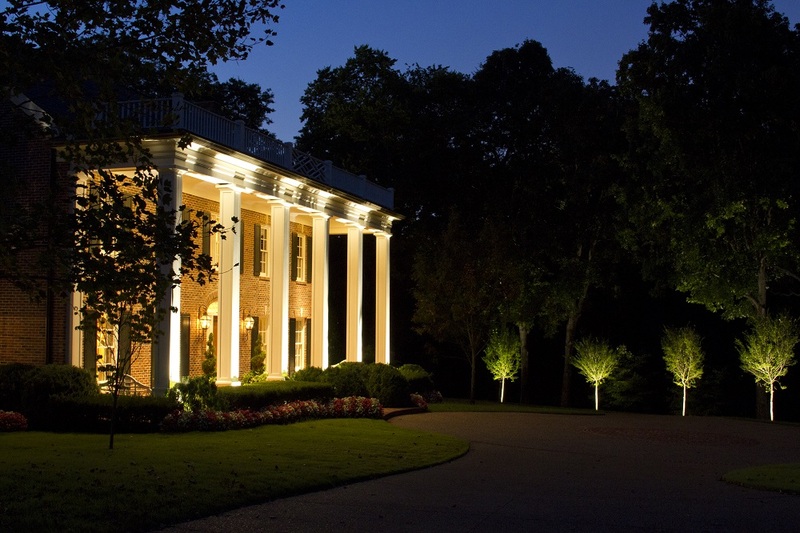 As you can clearly see, Nashville residential outdoor lighting can benefit all types of homes, from apartments to estates and everything in between! 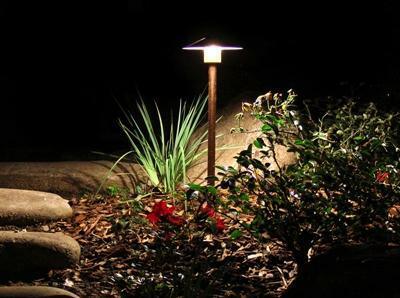 Contact us today to learn more about adding ambiance, beauty and functionality to your property at night. 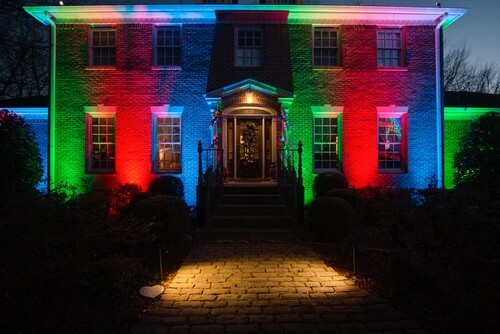 You can reach us at (615) 373 – 0638, or by emailing us at:olpnashville@outdoorlights.com. 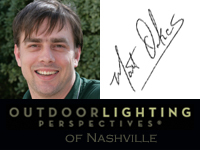 Here at Outdoor Lighting Perspectives of Nashville we take lighting safety very seriously. 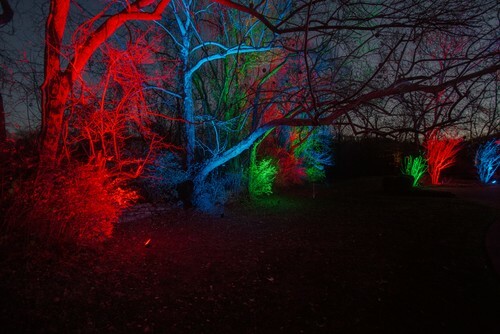 Our newest addition to our menu of outdoor lighting services is geared towards not only providing you with convenience , but preserving safety too. How many times have you found yourself risking life and limb teetering off of a rickety ladder to change out your eave lighting? This scenario is dangerous on single-story dwellings and even more risky on second and third-story homes. A closer look at this eave lighting proves the danger of bulb replacement on 2nd story homes. Did you know that according to WHO (World Health Organization), falls are the second leading cause of accidental or unintentional injury deaths worldwide. Each year an estimated 424,000 individuals die from falls globally and out of this staggering number adults older than 65 suffer the greatest number of fatal falls. 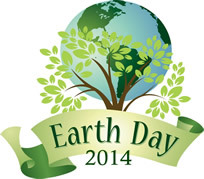 In addition, WHO also reports 37.3 million falls that are severe enough to require medical attention occur each year. One of the contributing factors to this high number of falls is attributed to working at elevated heights or in other hazardous working conditions. 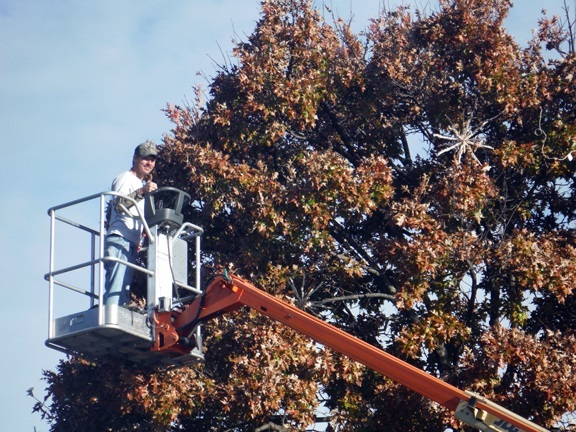 Changing out eave lighting on your home, or business, if you are not a lighting professional would fall into the category of working at both an elevated height within a hazardous condition. In an effort to make your outdoor lighting experience more convenient, and provide peace of mind, we are now offering our customers the option of changing their eave lighting, flood lights and spot lights as an added feature to our already convenient outdoor lighting services. Our professionally trained technicians will replace your existing halogen, compact fluorescent or incandescent bulbs or we can also upgrade your eave lighting to super-efficient LED while we perform the replacement. 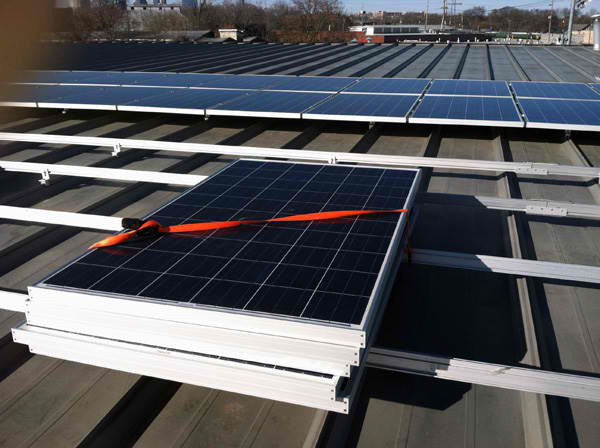 Just imagine, no more dangerous ladders to climb, plus all the benefits of LED without having to lift a finger! We make every effort to ensure all our lighting is installed with safety as the first concern. 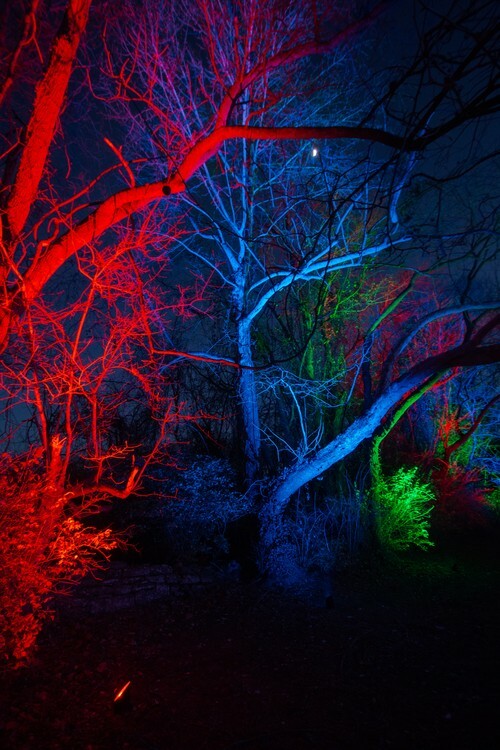 LED lighting is more energy-efficient and leaves less of an impact on the environment than other types of outdoor lighting. 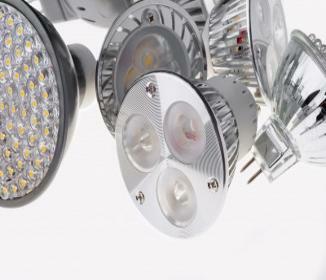 It can save a homeowner thousands in energy costs over the LED’s lifetime. In addition, since they contain no glass components, they are not vulnerable to vibration or breakage like other types of bulbs and make the perfect lighting for outdoor applications. 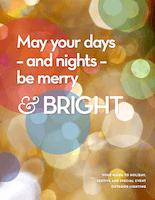 LED lights are free of toxic chemicals. Most conventional fluorescent bulbs contain a multitude of materials such as mercury that are dangerous for the environment and make disposal dangerous. Since they contain no toxic materials and are 100% recyclable, they will help you reduce your carbon footprint by up to a third. LED is safer in many regards too because it generates light from cool burning technology, and it uses less wire to install properly. 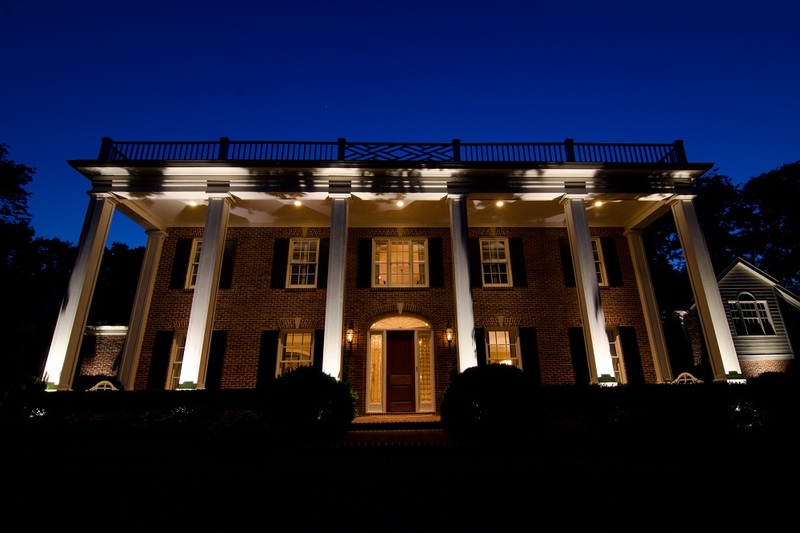 Contact Outdoor Lighting Perspectives of Nashville today to learn more about this service and our wide menu of outdoor lighting services designed with quality, beauty, function and safety in mind! Please visit our extensive outdoor lighting galleries, including our architectural lighting gallery located on our website for a closer look at our LED eave lighting installations.